I am often asked how to get started with STEM in the elementary classroom, and the beginning of the school year is the perfect time to dive in headfirst! 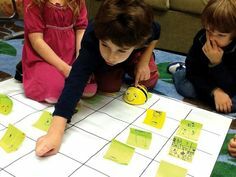 As soon as those daily procedures and routines and taught, practiced, and reinforced during the first few weeks, a STEM challenge is a wonderful way to encourage your students to think critically and collaborate with a partner or small group. I often hear teachers say that they learn more about their students’ personalities, strengths, and interests during STEM challenges than any other time. However, before you jump the gun and introduce that first epic challenge, here are a few steps that I recommend you take to make their learning experience as successful as possible. This book prompts fantastic whole class discussions and serves as the perfect source of inspiration for students before their first challenge. Also, make sure to check out Andrea Beaty’s other books in the series, Iggy Peck, Architect, and Ada Twist, Scientist. My kids love them all! If you’re looking for more literacy connections and STEM supplements to accompany Rosie Revere, click the picture below! Next up, hold a quick whole class discussion about what students think an engineer is and what they think an engineer does. (Be prepared for one of their first responses to be someone who drives a train!) You might want to brainstorm their ideas on the board before you show them one of the following short YouTube videos, then add to the list after they watch them. I LOVE both of these videos because students are often very surprised to discover all the conveniences and amenities in their lives that are made possible by different types of engineers. This video walks a kid through a typical day and how engineering affects each part of his day. My students take so much pride in their STEM Journals, and each year, we set up our journals by defining STEM in our own words, introducing the parts of the Engineering Design Process, and illustrating ourselves as scientists, technicians, engineers, and mathematicians. We complete these activities as a whole class, and I make it more fun with foldables and trading cards. If your students already have some sort of Science Journal, STEM materials would be perfect to add right in. Remember to teach students that technology doesn’t just mean iPads and laptops, and that Technology = Tools that make work easier. 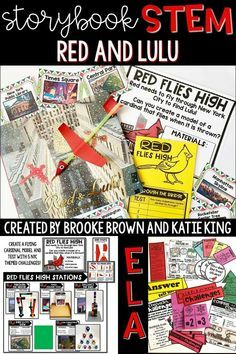 Click the following picture to view my STEM journal materials. While it may seem easy to reveal the challenge, introduce materials, let students create, and be done with it, the Engineering Design Process will be much deeper and more meaningful if you provide more structure and guidance, specifically before challenges and after challenges. We always try to set up our students to be as successful as possible, and STEM is no different. This is especially true for the youngest engineers (Pre K through 2nd Grade), who need to have their background knowledge primed and need more time to explore materials. 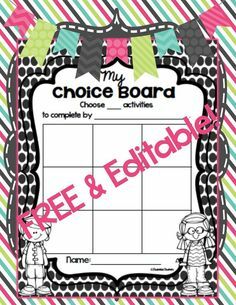 The easiest way to do this is to hold a whole class discussion both before and after challenges using laminated, reuable anchor charts. Students can share predictions and design ideas as you introduce the challenge, and reflect on successes and struggles after challenges. You and your students can record ideas with a wet erase marker, and erase for each challenge. The two anchor charts pictured below make it easy and quick to introduce and wrap up challenges and pull out students’ thinking. The chart on the left is included in my STEM journal pack, and is most appropriate for Pre K through first grade. The chart on the right is best for 2nd grade and up. (Standing on my soapbox for a moment!) Last but definitely not least, a positive, healthy classroom community is CRUCIAL for the success of any STEM challenge. While STEM provides incredible opportunities for collaboration, critical thinking, and problem solving, it should never, I repeat NEVER, be the only time of day that students are allowed to practice these skills. Students must practice social skills and “people smarts” on a regular basis, and be given as many opportunities as possible to exhibit divergent (creative) thinking. One of my favorite components of the school day that serves to develop and nurture a community of learners is Morning Meeting. Before beginning your first STEM challenge, share the following checklist with students and discuss why these behaviors might be important. Also, do your best to recognize and praise these student behaviors as you notice them during challenges. Are you ready to try your first STEM challenge yet?! Follow the steps above and watch your little engineers soar to success. Oh, and be warned: Once you do the first challenge with your students, they are sure to beg for more! I can’t wait to hear all about it! Fabulous post full of so much information! Thanks for creating this as I wish the STEM adventure was part of all schools! Do you have a book intro to stem for 5th grade students? I’d love some ideas for fourth grade as well. Thank you! Rosie Revere and Iggy Peck are fun, rhyming books and I’ve used them for a few years with 4th & 5th! I highly recommend! Can’t wait for Ada is be released!! Do you have any ideas for middle school students? I do not work with middle school students, but some teachers on my collaborative blog do. If you visit stemactitiesforkids.com, you can see some more ideas. This looks amazing! I just got moved to teach second grade gifted (starting Monday! Yikes!) and I am getting nervous about Bing able to challenge them. 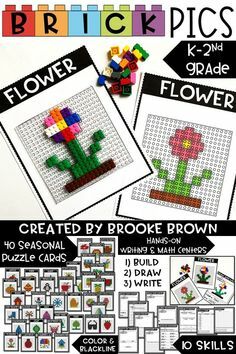 I saw your STEM pack as well as this one on TPT and was wondering what age they were geared towards. 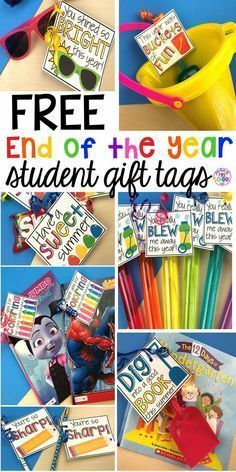 I just want to make sure my kiddos get everything they need!!! Thank you in advance for any advice you might have for a new to second grade and gifted (not even finished with the endorsement!) teacher! I just downloaded these and I am excited to use them! Why are they called STEM Bins in the picture, but the ones I downloaded all say STEAM Bin? I’m starting this with my second graders next week. How many students per group do you recommend? I have 19 kiddos and have them in groups of 5 and 4. Is that too many? Thanks for your input! Hi Beth! Those are pretty large groups for second graders. I would suggest partners or groups of 3 if you are able to do so. Although for complicated challenges like the rockin’ school bus or roller coasters, I would put them in fours. Thank you! I hope it’s going great! Got it, it wouldn’t show up on my tablet, but did on my phone. Thanks. I ordered the book and some other things. Glad to be able to support other moms if it helps you to be able to stay home and still provide supplemental income. Keep up the good work. Hey Brooke! 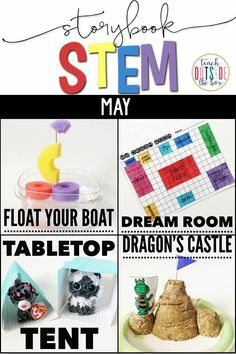 I have been scouring your AMAZING blog all night looking for STEM ideas and tips! Thank you for all your hard work on this- I seriously am so excited to get the ball rolling with more STEM in my classroom! I’ll also be sharing tomorrow afternoon at my school’s teacher meeting, doing some PD on STEM! Hey Brooke, I’ve been trying to find a good professional resource read about STEM. Your blog was the first I came across that actually seemed organized! Can you recommend any particularly good teacher resource books that can give me more background information? I have taught third grade for the past 16 years and will moving down to second this coming school year (SO EXCITED). I have purchased your STEM BINS resource. 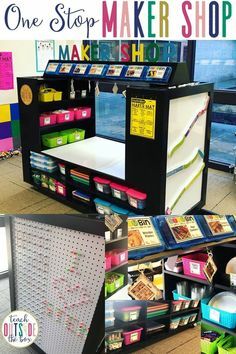 Would the above guidelines be the best way to introduce the procedures with using STEM BINS at the beginning of the year?